According to a well-known adage, one should never discuss politics, religion, or money in polite company. If this is true, it follows that controversial topics, such as the Israeli-Palestinian conflict, are rarely brought up at the dinner table. At its core, the Israeli occupation of Palestine is a land-based political struggle between competing nationalist movements. However, Israel’s perceived status as the Jewish homeland and its close financial ties to the United States have led many to frame the conflict as a religious and economic issue, rather than solely a political one. This complicated intersection of politics, religion, and economics makes Israel one of the most taboo topics of conversation in both polite company and political circles. Since its establishment, the state of Israel has been a source of international debate, confusion, and controversy. The founding of Israel in 1948 was the fruition of Zionist philosophy, which defines Israeli national identity as a religious mandate. Accordingly, Israel is both a geopolitical institution as well as a symbol of Jewish resilience. Although Israeli-Palestinian tensions have incited violence, discrimination, and human rights abuses on both sides, Israel faces significantly less criticism because of its position as a Western ally. Reluctance to critique or lay blame to the state of Israel has produced highly permissive attitudes regarding Israeli expansion in Palestine. Because of these attitudes, world leaders fail to hold Israel accountable for its violations of international law. Support for Israel is most firmly enshrined in American political life. Beginning in 1948, the Israeli cause aroused Judeo-Christian sympathies, humanitarian interests, and democratic ideals widely shared within the population. 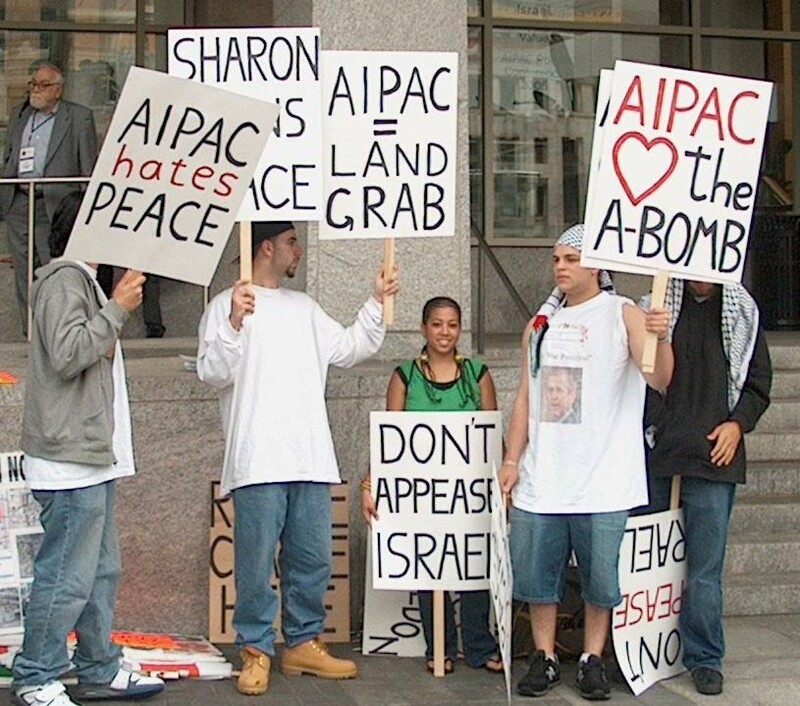 Eventually, these pro-Israel sentiments became a norm in U.S. public opinion. Accordingly, the two countries continue to engage in close diplomatic, economic, and military relations. This alliance has endured despite corruption allegations against far-right Prime Minister Benjamin Netanyahu and ongoing violence in Gaza and the West Bank. President Donald Trump strengthened this stance by recognising Jerusalem as the capital of Israel in December 2017. He followed suit by moving the U.S. embassy from Tel Aviv to Jerusalem in May 2018. 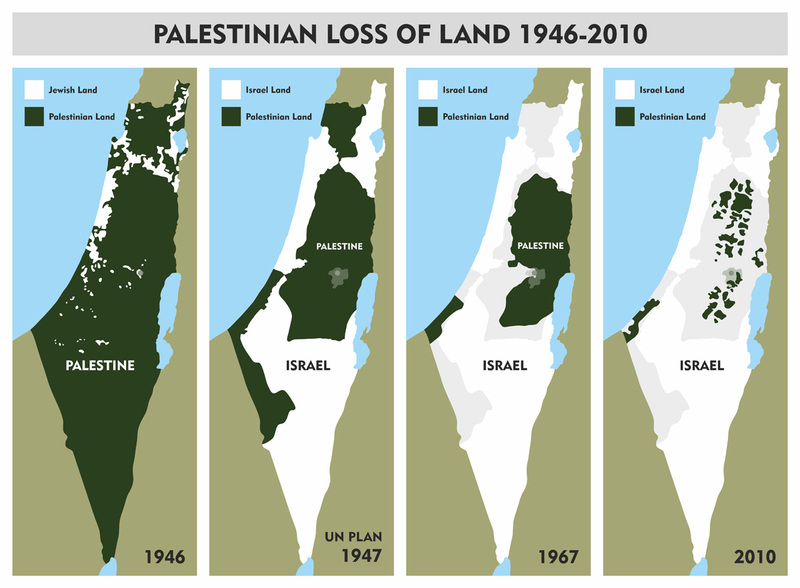 Palestinian officials subsequently denounced this decision as an insurmountable obstacle for a potential two-state solution. Widespread devotion to Israel in U.S. politics has resulted in an unspoken rule that everyone is, for better or for worse, pro-Israel. Because of this understanding, many politicians avoid critiquing the Israeli government for fear of sounding treasonous. While Israel offers one of the few opportunities of bipartisanship in the country’s heavily politicised government, wherein both the Democrats and the Republicans view Israel as more or less favourable, the Democratic party, in particular, depends on these diplomatic ties. For Democrats, Israel is more than just a strategic ally. Backing Israel is deeply embedded in the ideological fabric of the modern Democratic Party, established during the New Deal in the 1930s. Starting in 1933, President Franklin D. Roosevelt (FDR) redefined Democratic identity through anti-depression measures, which embraced minorities including, Jews, Catholics, immigrants, and African Americans. As a result, Democrats quickly became a voice for marginalised members of American society, notably Jewish Americans, and from this stemmed a long-standing alignment with Israel. Sympathy for disenfranchised groups informed the party’s earliest positions on the state of Israel. During World War II, FDR acknowledged the need for a Jewish state as an antidote for widespread anti-semitism. Likewise, President Harry S. Truman, following in FDR’s footsteps, recognised Israeli independence in 1949 as a symbol of Jewish self-determination after centuries of persecution. While this pro-Israel ideology has survived the past 80 years, new party membership is slowly pulling at the historic basis of the Democratic Party’s identity. The 2018 midterm election results signalled a momentous change in American politics with Democrats taking control of the House of Representatives. This “blue wave” included a record number of women, people of colour, and members of the LGBTQ community. Although celebrated by the media, this newfound diversity has challenged internal party dynamics. New voices and shifting coalitions are forcing Democrats to challenge topics, like Israel, that once enjoyed broad-based support, though not without considerable contention. The controversy of discussing the state of Israel in the Democratic Party was recently brought to light by Congresswoman Rep. Ilhan Omar. Representing Minnesota’s 5th Congressional district, Omar immigrated to the United States in 1995 after escaping the Somali Civil War. Along with Palestinian-American, Rep. Rashida Tlaib, she is among the first two Muslim women elected to Congress. Since November 2018, Ilhan Omar has been called one of the new “faces of change” in the Democratic Party. Shortly after taking the oath of office, on February 10, 2019, Omar was thrown into the limelight by making a rather controversial statement on American-Israeli relations. In response to the GOP’s support for Israel, Omar tweeted, “It’s all about the Benjamins baby,” suggesting that the country’s more conservative political party was, and is, heavily, and one could even say uniquely, influenced by pro-Israel lobby groups like the wealthy American Israel Public Affairs Committee (AIPAC). 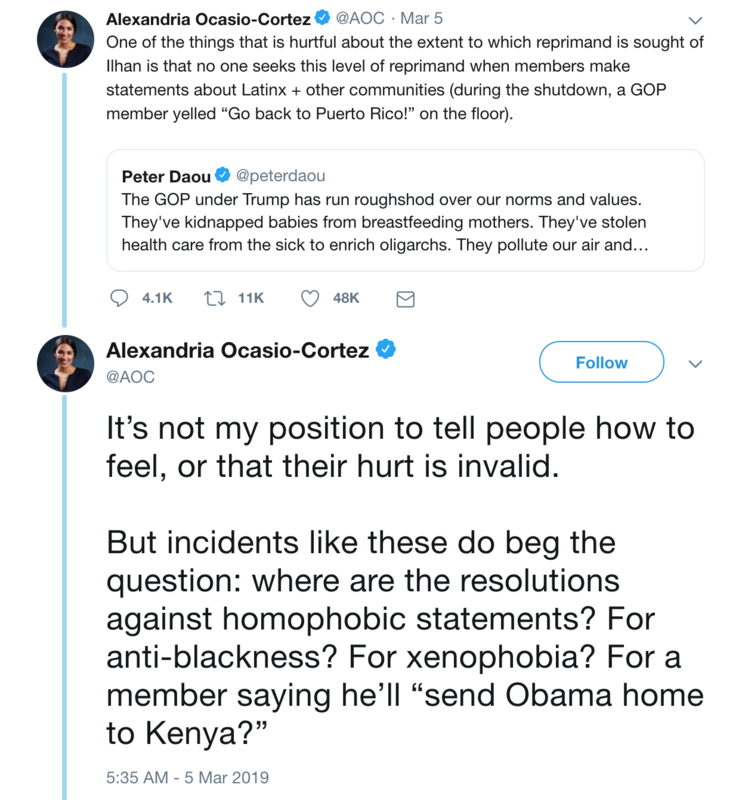 Following the tweet, Democrats and Republicans alike attacked Omar for being anti-semitic and ill-informed. 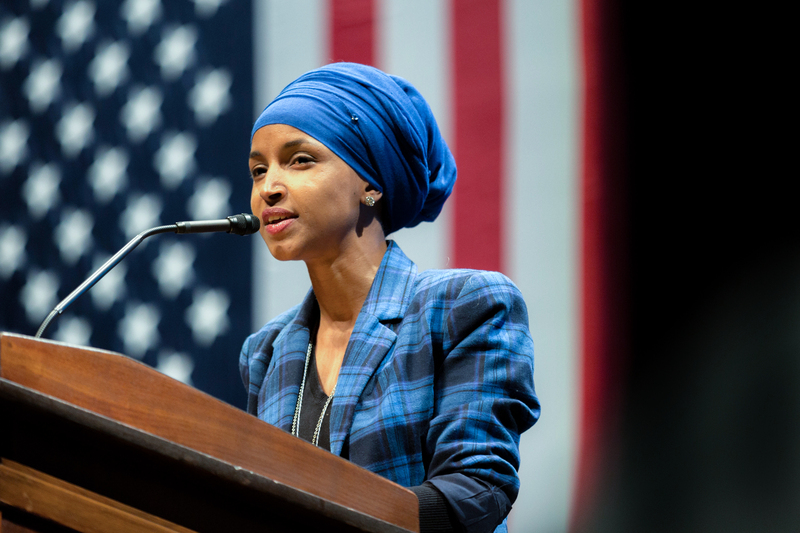 Despite efforts to explain and defend herself, critics persisted, denouncing Omar’s use of harmful “dual-loyalty” and “Jewish money” tropes as similar to those that have historically been used to persecute Jewish communities. In the Democratic Party, Speaker of the House, Nancy Pelosi urged Omar to apologise, claiming, “She did not understand the full weight of the words she used.” Likewise, Senator Chuck Schumer tweeted that Omar’s comments were, “offensive and irresponsible.” Ultimately, Omar apologized for her word-choice while affirming her stance on all lobby groups in Congress. A couple of weeks after her initial tweet, on February 27, 2019, Omar addressed her comments and their significant backlash once again. At a Washington bookstore event, she said, “I want to talk about the political influence in this country that says it is OK for people to push for allegiance to a foreign country.” Although she took a far more neutral tone than in her previous statements, her speech nevertheless re-ignited outrage against her. While Omar’s platform includes typical social democratic policies like universal healthcare, education reform, immigration reform, and gun control, her stance on Israel has made her a divisive figure in American politics. Along with her comments on pro-Israel lobby groups, Omar has also expressed public support for the contentious Boycott, Divestment, and Sanctions (BDS) program while serving on the House Foreign Affairs Committee. 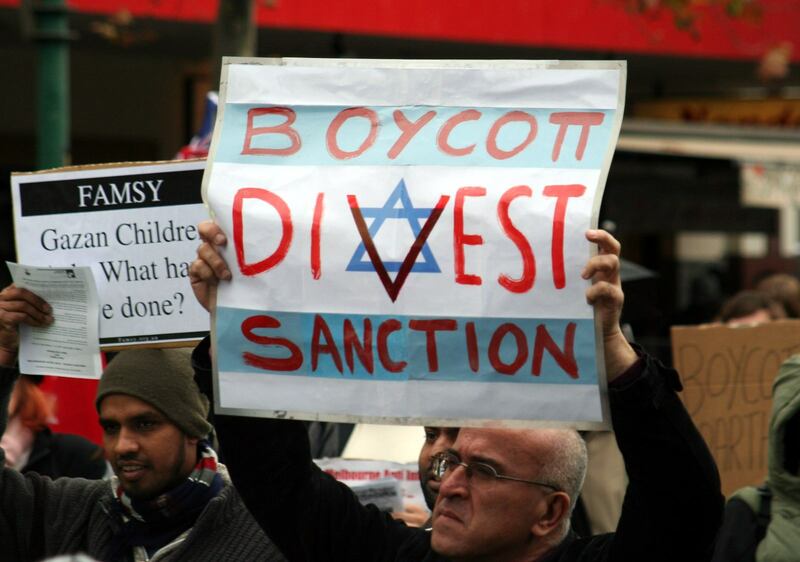 BDS is a Palestinian human rights movement aimed at pressuring the Israeli government through economic measures. Leaders of the movement argue that Israel’s apartheid regime in Palestine is upheld by the help of international actors, corporations, and powerful lobby groups. As such, they advocate putting an end to the network of support. Although on paper BDS is a nonviolent grassroots program, Israeli officials have labeled the movement as anti-semitic, even going as far as comparing it to militant groups like Hamas. In itself, BDS’s constitution is not an anti-semitic doctrine. The goal of BDS advocacy is to secure freedom, equality, and amnesty for Palestinians in Israel. Although the movement is not religiously motivated, its platform is often misused to spread anti-semitic views. As a result, critics have interpreted BDS as a radical nationalist program posing an existential threat to the state of Israel and, as such, it is usually met with unwavering opposition by American politicians. The tendency to derail BDS with accusations of antisemitism has cast an unfavourable light on what was intended as a platform to promote Palestinian human rights. Currently, Ilhan Omar and Rashida Tlaib are the only members of Congress to publicly endorse the BDS movement. However, it is also worth noting that fellow Democrats including Kamala Harris, Elizabeth Warren, and Bernie Sanders have rejected anti-BDS legislation as an infringement on free speech. On the surface, the Ilhan Omar controversy is a struggle for religious tolerance in American politics. However, widespread criticism of Omar overlooks a deeper issue that is currently plaguing the Democratic Party and American foreign policy at large. Divided responses to Omar’s Israel comments hint at the Democratic Party’s inability to adjust to the demographic realignment that is taking place in the American left. While the Democratic Party is still a champion of social equality, it has failed to update this identity with regards to certain groups. In 2019, this entails broadening human rights discourse to be more representative of Palestinian interests, especially when both Palestinian and Israeli people alike are being attacked and killed. The clash between the old and new Democrats softened briefly with a resolution condemning hate speech that was passed in The House of Representatives on March 7, 2019. Although the resolution was intended to punish anti-semitism, it was later amended to include provisions against Islamophobia and other forms of discrimination as well. House Democrats unanimously supported the resolution as a step toward greater religious tolerance in the United States. Both Omar and Tlaib commended stipulations on anti-Muslim bigotry. 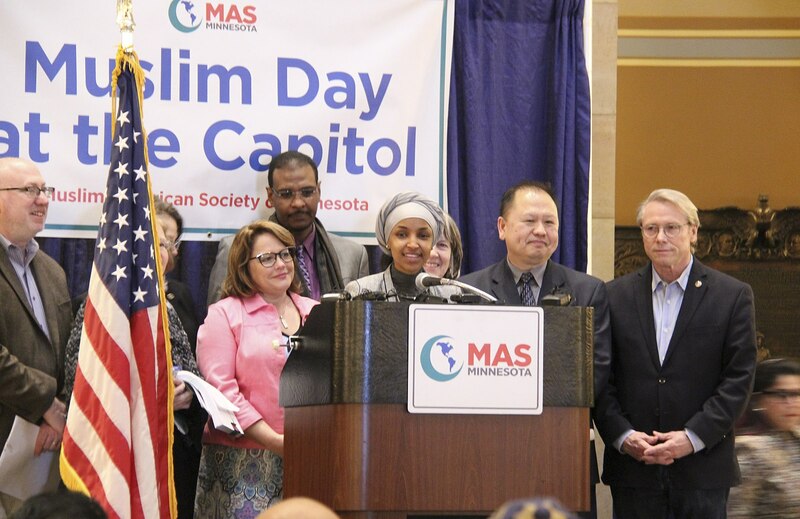 While the resolution is a positive step in curbing hate speech, it fails to address the content of Ilhan Omar’s remarks. Like the backlash against Omar, it may be detracting from an opportunity to have a nuanced discussion about Israel. Without a doubt, in 2019, there is no room for hate speech anywhere, especially not in political bodies. However, this controversy is a reminder that the House Foreign Affairs Committee, and the American Congress in general, is not the dinner table. It is the place to speak openly about human rights violations, violence, and nationalism, such as that taking place in Israel. 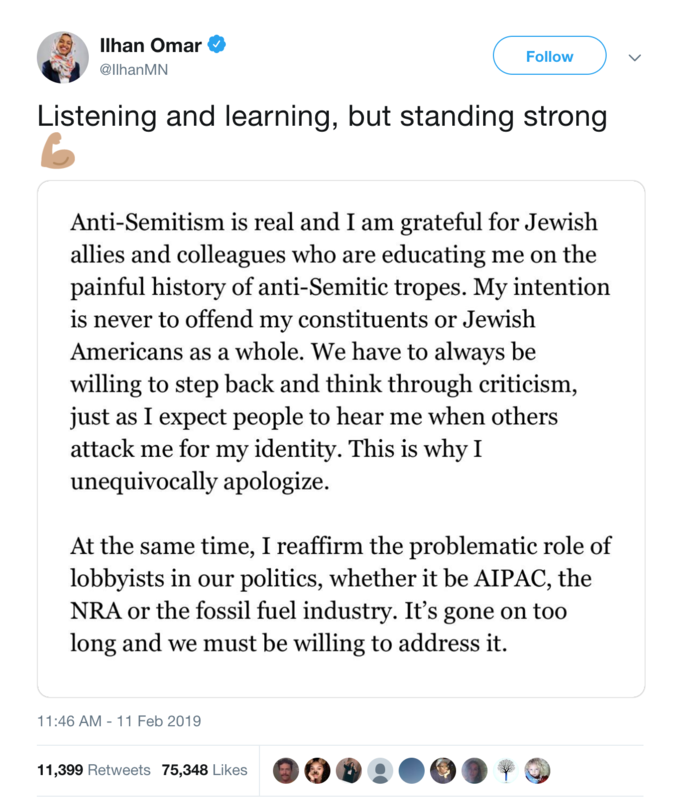 Going forward, this will involve an honest discourse free from the shadow of pro-Israel lobby groups and knee-jerk accusations of anti-semitism. Author’s note: This article is not an endorsement of any anti-Israel, pro-Israel, anti-Palestine, pro-Palestine, anti-BDS, or pro-BDS movements. Emma Frattasio is a U1 student currently pursuing a degree in Political Science and International Development Studies. Originally from Los Angeles, she specializes in North American politics, international relations, and cultural studies.